AKC Ch. 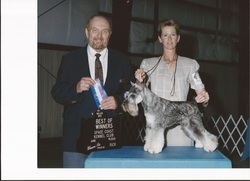 Lakeside's Daddy's Lil Dividend "RJ" was Rooster's second AKC champion. He was finished out of the Bred- by class and was specialed on a limited basis.